Steve Turner will host Abstract Browsing, Rafaël Rozendaal‘s third solo show at the LA gallery, between January 9 – February 6. 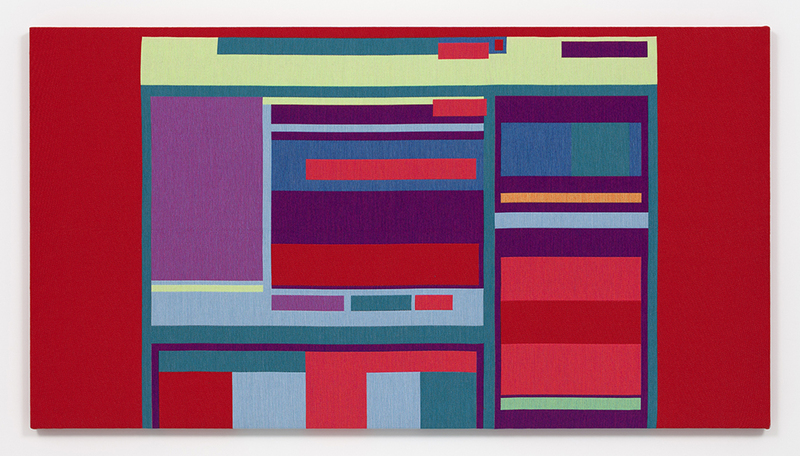 For this show Rozendaal has been searching for potential abstract tapestries in the naked structures of webpages. The search is afforded to “the avid explorer of the internet”, as Steve Turner describes Rozendaal, because of a plugin the artist has created. Against the tapestries that Rozendaal will be making and translating from the naked structures that he finds to have ‘unusual compositions’, the show will also include some of his large printed out ‘RR haiku‘ series. The latter, the press release frames, are almost the opposite of the tapestries: fitting perfectly and firmly in a tweet.